All new international students must attend international student orientation. This orientation session will introduce you to various aspects of campus life as well as provide information specific to international students such as immigration, health insurance , and cultural and academic adjustment. Orientation is held at the beginning of every semester. Contact the International Programs Office at 601-979-1611 for upcoming dates. 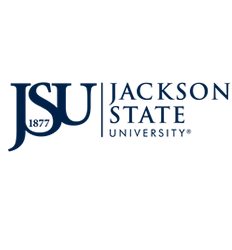 Your first year at Jackson State University will be filled with excitement, anticipation, challenges,and high expectations. The First Year Experience, a signature program for first and second year and transfer students, is designed to help you meet your expectations, conquer your challenges, fulfill your academic needs, and provide you with an exciting experience. The First Year Experience includes both curricular and co-curricular components to help you make a smooth transition to university life and enhance your college experience in and out of the classroom. Our goal is to assist you on your journey to becoming a JSU graduate, a responsible citizen, and an outstanding world leader. Click here for more information about orientation dates.